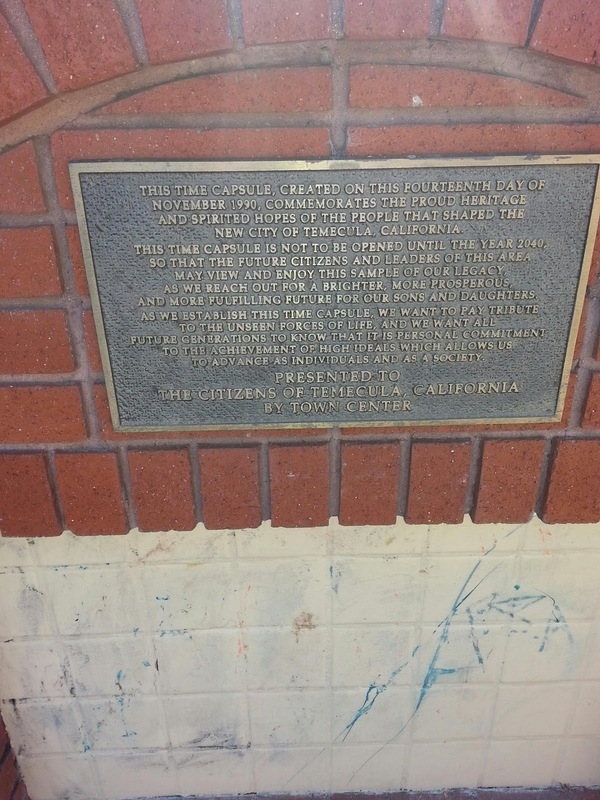 I go to the Target shopping center all the time, so why have I never noticed this intriguing time capsule before? Check your (snail) mailboxes, Temecula parents of kids with public elementary and middle school students. You should be receiving instructions this week for paperless enrollment of your kids for the 2013-2014 school year. I was a little bit intimidated to receive not only my child's unique password, but a detailed page (front and back) explaining the step-by-step process. For me, at least, as well as for a couple of my Facebook friends who also said they completed the enrollment this week, the process was quick and easy. So if you are sitting on your letter (or you got something from the district and didn't want to open it because you're in denial that the first day of our "traditional year" school begins on August 13th(??!!) just do it. Let me know...how was your experience signing your child(ren) up without killing any trees?